Twiddle and Tweet Onesies – I about fell outta my chair when I stumbled on this shop. 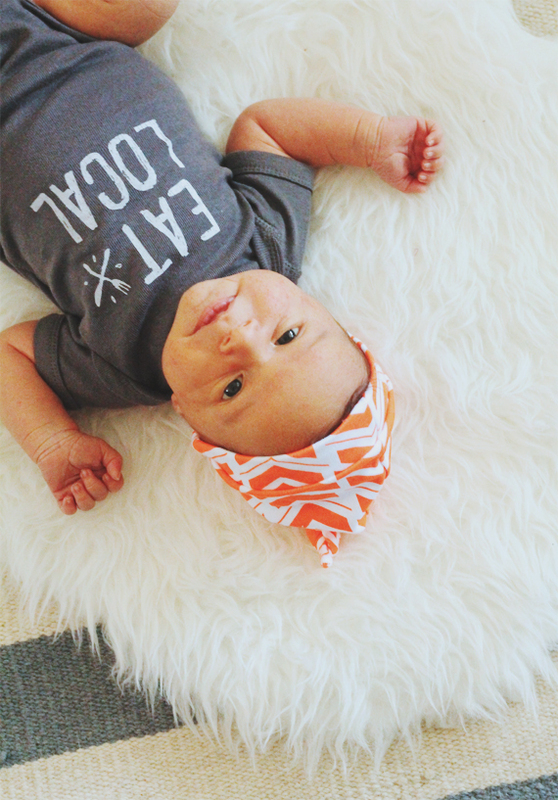 The coolest slogans screen printed on organic onesies. Little Hip Squeaks Leggings and Sleep Caps – Super comfortable fit with irresistible prints! Mom n Mia Teether We aren’t using this as a teether yet but Max loves to have something to hold on to. Can’t get over how brilliant these are! Wren & Rumor Burp Cloth and Blanket – The softest materials with a fun modern print! Mosie Posies Birth Announcement – A fun way to remember all those important facts (that I am having a harder time remembering for each child now;)). Can’t wait to frame this. Have any favorite shops for little ones? Please share! The birth announcements for my first two just arrived yesterday from Mosie Posies– love them! Can’t wait to get one for the new baby in September and then frame all three! Hello little man! He’s too cute Anna! Oh my gosh, stop it! Too cute. GAH! He is SO cute!!! Love this collection. Those teethers!!!!!!!!!! oh my . What a lovely family you have! 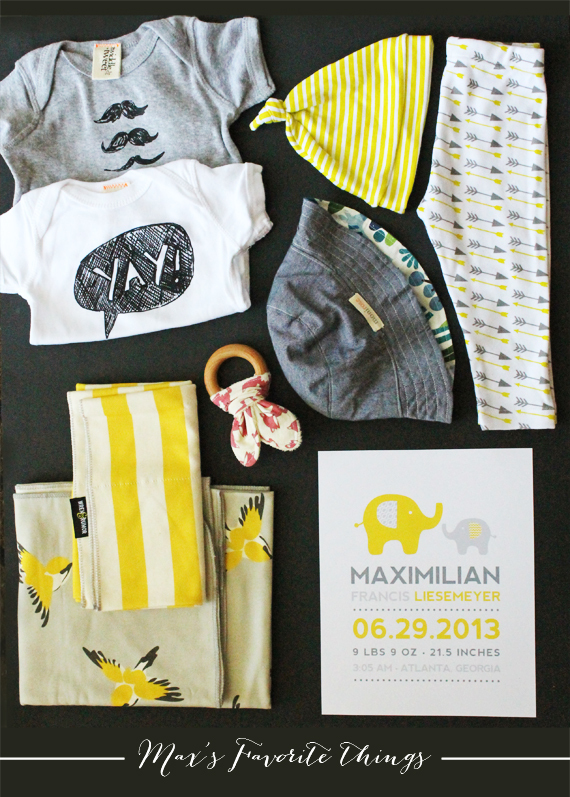 Congratulations to you all on the birth of sweet little Max!! I look forward to reading your blog daily!